WordPress is an open source Content Management System. It is one of the most used CMSs today. It empowers a number of newly developed websites. It is the most featured development platform and allows you to own a website or a blog easily. It has become the most popular development tool for the developers and the business owners around the world. If you are looking for an easy online presence then sharing your ideas using a blog can be a great option. There is already a number of people who use blogs to present themselves on the web. You can easily join them by creating your own blog on WordPress. It does not require any technical knowledge or hard coding skills. 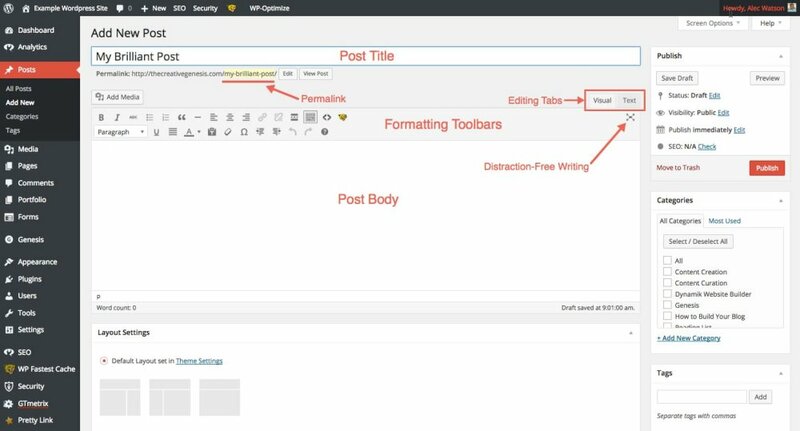 Before we head towards the launching process of a WordPress Blog, let's peep into some of its standout features. It is extremely user-friendly. Even if you are a beginner, it is not going to trouble you anywhere. It is totally free. You don't have to pay anything to install it. You can use WordPress for developing a small blog to a big website or even an online store. It is easy to create responsive websites, which are mobile and tablet friendly, with WordPress. It is SEO friendly. Search engines like WordPress sites because of their simple and clean code. It comes with a large community support. So, if you stuck somewhere, you can easily find support for you. By now you must have been convinced of the fact that WordPress is the best blogging tool at the present time. Once you have decided to go with WordPress, we can move forward to the process to launch a Self-Hosted WordPress Blog for you. Start with choosing a nice web host for your blog. There are a number of hosting service providers but you need to choose the perfect one for you which is reliable and supportive. Your web host must be capable of providing the fast servers and guaranteed uptimes. Moreover, a reliable host takes care of the security of your website or blog. Choose a web host with a good reputation for customer support. You will never want that your site has to see frequent downtimes just because your service provider is not fast enough to solve issues at their end. Lastly, it must be cost effective. Cost effective doesn't always mean the cheapest. It means that you should get the best features and services as per your requirements on comparable rates. 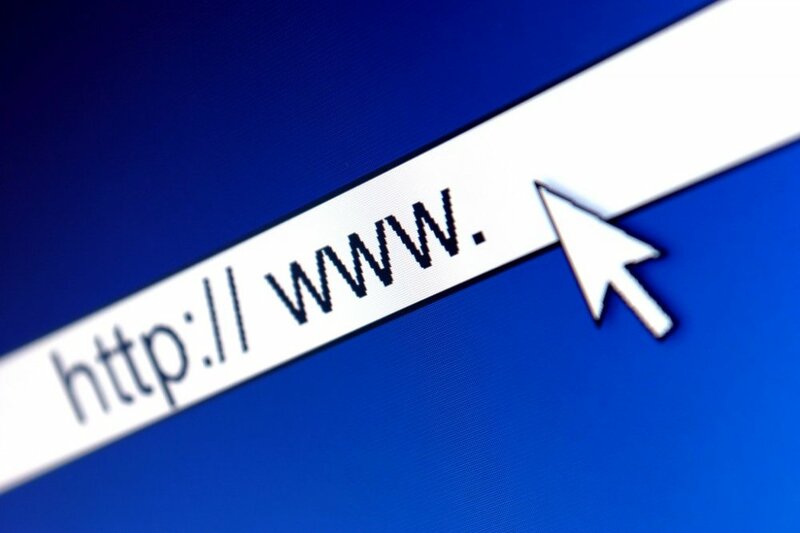 A domain name serves as an address for your blog. You can choose your name, your company name, product or service you want to sell or anything else you want as your domain name. The domain name must be easy and memorable. If your domain name is too long or strangely spelled then the visitors are more likely to forget it. It should be catchy enough which can stick in the mind easily. While choosing the domain, do not ignore the importance of the extension. Do not go for an unusual extension, commonly used extensions like .com, .net and .org are the best to go for. Once you have done with choosing the right host and the domain name for you, you can proceed to install WordPress. It is not something very difficult which requires any technical knowledge. Most of the premium web hosts provide you with the one-click installation process. Just log on to your web host and access the control panel. Find the install WordPress icon and click on it. You will get a new page with install button on it. Click on Install. button and proceed to the installation. This will lead to the completion of the installation process and you will receive your username and password. Now you need to choose a theme for your very own blog. Again it is supremely easy to do. Go to the “Appearance” and click on themes. You can check how a theme will look on your blog, by clicking on “Live Preview”. Just choose your theme and click on “Activate”. 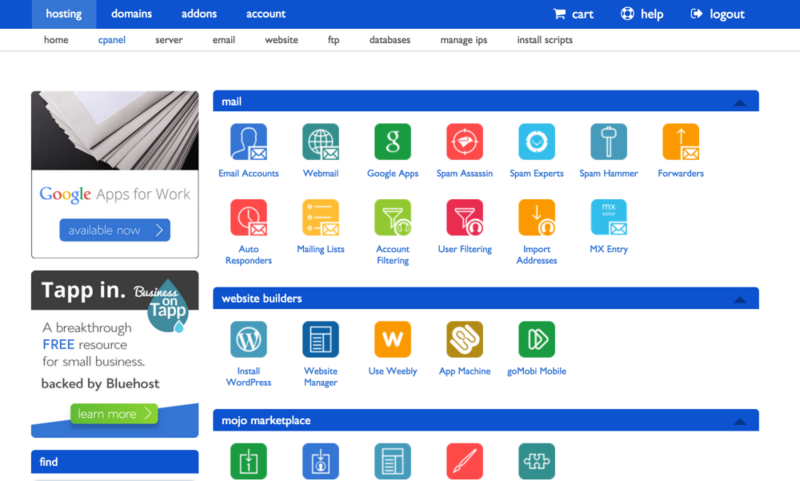 You can choose a theme from a number of free themes available in WordPress directory. If you want something more featureful according to your requirements then you can visit https://d5creation.com/themegallery/ . 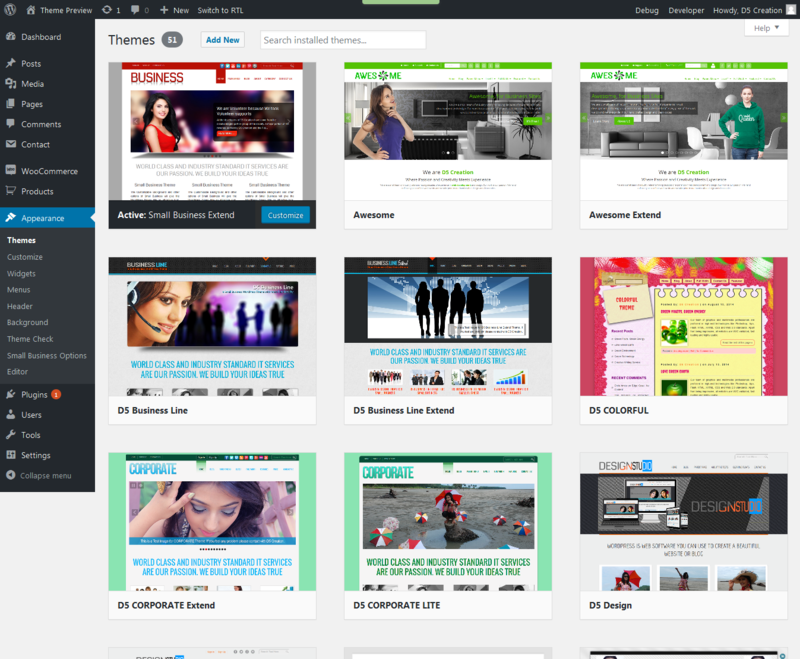 D5 creation provides you a full list of free themes. Moreover, you can choose from the extended versions which may better suit your requirements. Themes can really improve the look and feel of your blog and a profession theme provides you with the flexibility of customization. email subscription form, categories, Archives etc. side box and you are done with adding a widget it is as simple as that. WordPress is a great blogging tool. It empowers you with so much added features and you can even enhance it with the use of some plugins. You can use some plugins to avoid the comment spams on your posts, create a backup for you, improve your search engine rankings, adding social media buttons and the list goes on and on. Find a plugin that suits your requirements Just “Install” and “Activate” it. Now you own a fully functional blog and you can start blogging right away. Click on the “Posts” on the menu bar. Click on “Add new” and start writing. Once you have finished your write-up, just click on the “Publish” button to make it live. Now you have launched a fully featured blog on your own. Yes, it is as simple as that. You can easily customize your blog according to your needs once you get used to it and get familiar with its functionality. The more you use it, more you learn about it. You will come to know about simple tweaks you can make with its design and functionality. Nothing is too hard about it, everything is clearly labeled and you can follow the instructions to make any desired changes. Still in case you need any kind of support for your WordPress blog, you can head to a professional WordPress service company like https://d5creation.com/ . For now, you have started your self-hosted blog, so start writing your posts and enjoy Blogging.